The rundown: This category has some solid frontrunners, and all of them are among the fifteen nominees recognized in three separate races – contemporary, period, and sci-fi/fantasy – by the Costume Designers’ Guild. 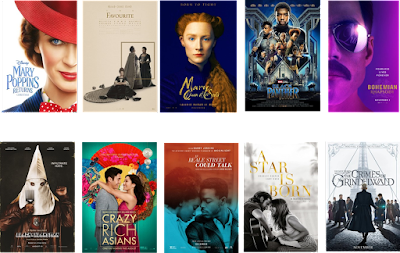 Even if it doesn’t get top-tier nominations, Mary Poppins Returns is a sure thing here, as is a film sure to show up in those races, The Favourite. It hasn’t consistently been honored across the board, but Mary, Queen of Scots seems like a safe bet here. Black Panther seems to be popular and even took home the Critics’ Choice prize in this category. 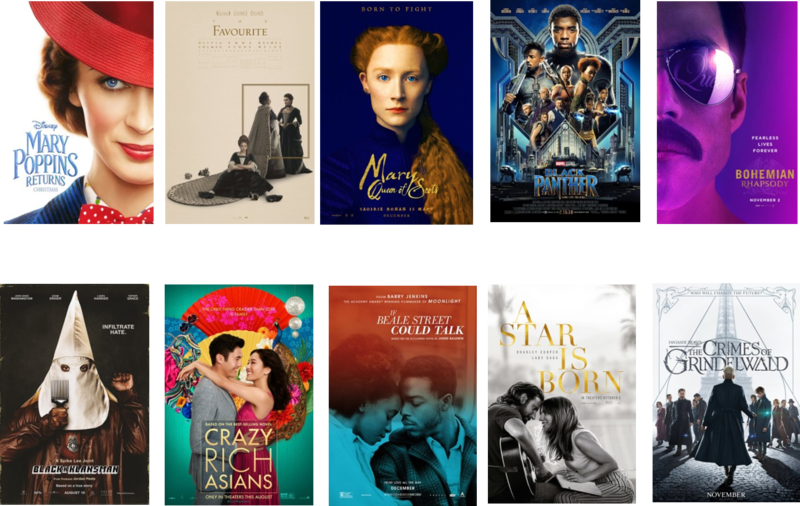 Bohemian Rhapsody, even if it doesn’t wow Oscar voters as it has other groups, is very likely to place there, though it will face stiff competition from CDG nominees BlacKkKlansman, Crazy Rich Asians, and A Star is Born, and I imagine that two films that weren’t honored by that guild, If Beale Street Could Talk and Fantastic Beasts: The Crimes of Grindelwald, the sequel to the 2016 victor in this category, will also siphon votes. There are seven other films that earned CDG bids, though they’re not strong contenders. I can’t understand why Colette isn’t part of the awards conversation for its gorgeous costumes, and I’d hope that the very few mentions from throughout awards season will magically translate to an Oscar bid. This category often rewards films that aren’t recognized in any other race, so we’ll see if anything very surprising shows up. One possible crazy scenario: It’s not so absurd, but black-and-white foreign films Roma and Cold War might earn enough votes for their non-color costumes, something that used to be recognized regularly in a separate field through 1966. Forecasted winner: I see this going to Mary Poppins Returns, but it’s sure to be a competitive category.